Wexford Opera House is Ireland’s first custom-built, multi-purpose opera house and home to the world-famous Wexford Festival Opera. Cappanalea Outdoor Education Centre, situated in a perfect wilderness location on the mountainous shores of Caragh Lake. A visit to Crossogue is a unique experience and we promise to look after you during your stay with us. A warm, relaxed and friendly atmosphere awaits all guests who stay at Crossogue house in the heart of Co. Tipperary, where the Molloy family have been involved with horses for 5 generations. The Museum is located in the old coastguard station above Greencastle harbour and has a commanding view over one of the premier fishing fleets in Ireland, with superb views over Lough Foyle towards County Derry. A visit to the Irish National Heritage Park is like no other you can imagine. Surprises await around every turn as you explore 35 acres of this remarkable heritage trail. From campsite to Ringfort, from mill to Fulacht Fiadh, from Crannog to Viking house, every activity is an unexpected adventure. The Burren is a karst-landscape region or alvar in northwest County Clare, in Ireland. It is one of the largest karst landscapes in Europe. The region measures approximately 250 square kilometres and is enclosed roughly within the circle made by the villages Ballyvaughan, Kinvara, Tubber, Corofin, Kilfenora and Lisdoonvarna. It is bounded by the Atlantic and Galway Bay on the west and north, respectively. A small portion of the Burren has been designated as Burren National Park. It is one of only six National Parks in Ireland and the smallest in size. Ecotrek Ballybunion Greenfields Church Road, Ballybunion, Co. Kerry. Welcoming visitors to Aillwee and The Burren for over forty years. Let our knowledgeable guides at Aillwee welcome you to the dramatic underworld of this unique landscape. 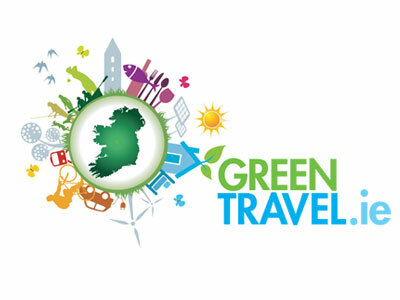 The Cliffs of Moher Visitor Experience is committed to the ethos of sustainable tourism. We strive to reduce any negative impact on the environment and promote our local natural and cultural heritage to our visitors.